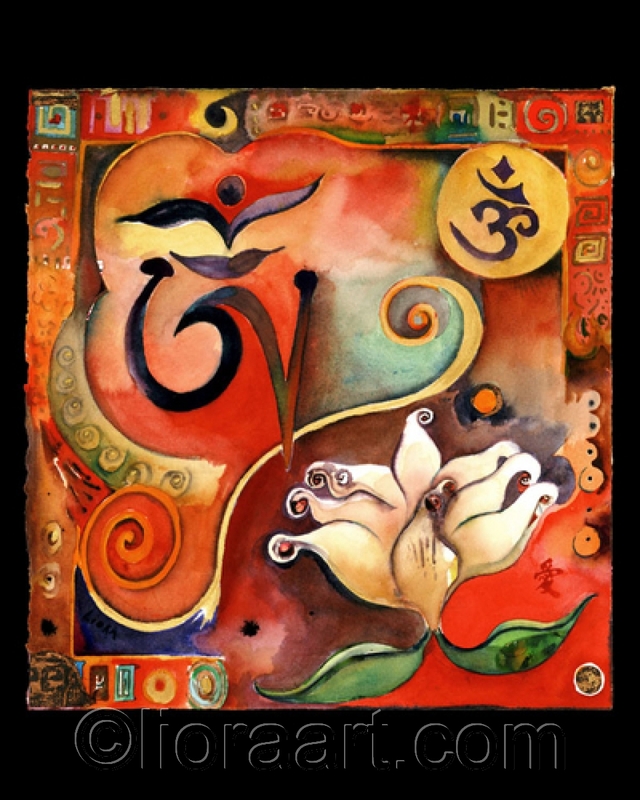 This piece depicts both the Sanskrit and the Tibetan symbols for Om. The 8 petal lotus represents the 8 fold path to enlightenment in Buddhism. Inspired by ancient Tibetan art.